Hokkaido University scientists say they have developed a new cell-culture platform that allows them to see never-before-seen behaviors of live cancer cells under the microscope. The observation of these behaviors’ sheds light on the mechanisms behind well-known properties of pancreatic cancer, one of the most lethal malignant tumors, and may lead to the identification of new treatment targets, according to the researchers, who describe their work (“Visualising the dynamics of live pancreatic microtumors self-organized through cell-in-cell invasion”) in Scientific Reports. 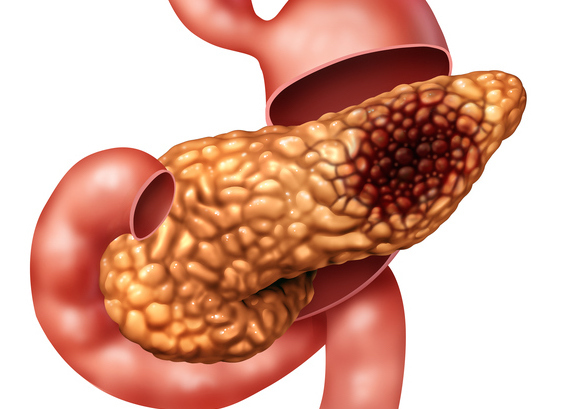 “Pancreatic ductal adenocarcinoma (PDAC) reportedly progresses very rapidly through the initial carcinogenesis stages including DNA damage and disordered cell death. However, such oncogenic mechanisms are largely studied through observational diagnostic methods, partly because of a lack of live in vitro tumor imaging techniques. Here we demonstrate a simple live-tumor in vitro imaging technique using micro-patterned plates (micro/nanoplates) that allows dynamic visualization of PDAC microtumors. When PDAC cells were cultured on a micro/nanoplate overnight, the cells self-organized into non-spheroidal microtumors that were anchored to the micro/nanoplate through cell-in-cell invasion,” wrote the investigators. “Cancer studies so far either use cell cultures in which cancer cells don't necessarily behave naturally, or tissue samples that don't allow live observation. So there is a big gap in our knowledge of how cancer cells actually behave,” says assistant professor Yukiko Miyatake, Ph.D., who led the study and focuses on cancer development mechanisms. To close this gap, she teamed up with associate professor Kaori Kuribayashi-Shigetomi, Ph.D., who specializes on micro-nano-scale bio-engineering. Together they created a new cell culture substrate from a coated glass slide with etched islands of 30 μm diameter. For healthy cells, this is just enough space for one or two to attach. But when the researchers seeded them with pancreatic cancer cells (although they also tried other cancer cells with similar results) and incubated them overnight, the cells self-organized into microtumors that could move in a concerted way, as if it were one organism. Precursors to this turned out to be papillary structures that accommodate four or more cells by cell-in-cell invasion. This process (entosis) is so far known only as a step in cell degradation. Here, the incorporated cells remained alive and, to their surprise, the incorporation was reversible. When the team treated the microtumors with the widely used anticancer agent Nocodazole, the microtumor disintegrated, but the now-detached cells survived. Moreover, the researchers observed the microtumors “fishing” for surrounding dead cells and ingesting them, in the process releasing chemical markers typical for dead cells. These markers ended up on the cancer cells' surfaces, presumably masking them and enabling them to evade the immune system's killer cells.